We are proud of the standard of care we provide for you, our patients. Welcome to Smithfield Dental, conveniently located off the Captain Cook highway. Here, we deliver the best care possible to ensure your dental wellbeing. It’s about giving you time and understanding your individual needs. Our mission is to help our patients accomplish their optimum dental health in a painless, compassionate, and efficient way. Together we can establish a treatment plan that is cost effective, health conscious and suited precisely to you. We have been serving the Cairns community for over 25 years and are proud to offer continuing care to generations of patients. Dr. Meglin Rathnasamy qualified in 2003 from the University of the Witwatersrand, Johannesburg. After owning his dental practice outside Johannesburg, for 8 years, Meglin and his family emigrated to Australia and chose Cairns as their home. 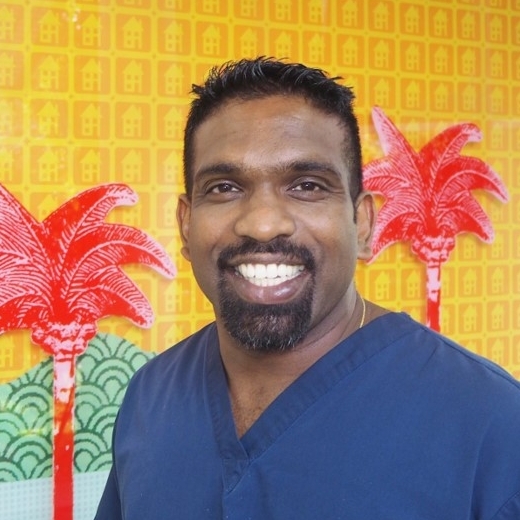 Having been in Private Practice for the past 5 years in Cairns, Meglin brings with him a wealth of experience in Clinical dentistry, strongly believing that dentistry is a combination of an Art & a Science – both mutually dependent on each other for success. Equally important, communication with his patients serves an integral part of Meglin’s treatment approach. After graduating in GDipDImplant (Oral Implantology), Meglin now offers surgical implant placement, 'in-house'. Meglin’s passion for Dentistry stems from the quest for perfection & utilizing the latest advances in technology to achieve this, with special interests in Wholistic Family Dental Care, including Pediatric Acclimatization, TMJ rehabilitation & Restorative Dentistry. Meglin refers to himself as practicing ‘Cosmetic & Functional’ Dentistry. Meglin serves as the current ADA-FNQ branch President, serving dentistry on a regional scale. Dr Lea Ovaska graduated with a Bachelor of Dental Science (Hons) from the University of Queensland in 1986. Lea considers herself a local as she started her first few months of primary school at Tully while her father was cutting sugar cane. Lea married her husband in Cairns, they have two children and love living in the tropics. Lea provides comprehensive care including root canal treatment, implant restoration, one visit CEREC restorations along with routine dental restorations and cleans. Her goal is to bring her patients oral health to a maintenance only level. 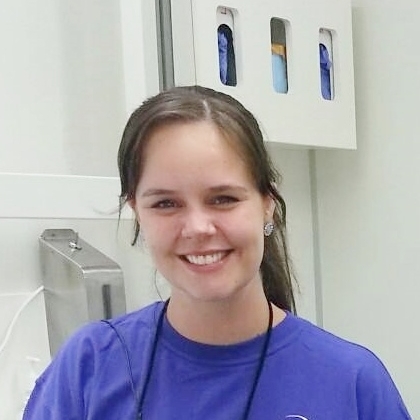 Lea is assisting at the School of Dentistry at James Cook University as a clinical supervisor and is committed to continuing education, regularly attending Australian Dental Association conferences. Helping the community has been a strong focus for Lea and the practice. The Smithfield Dental "Tooth Faeries" have a long history with the Relay for Life and are committed to fundraising for a great cause. Dr Sophie Cuming graduated in 2017 from James Cook University with a Bachelor of Dental Surgery. Sophie grew up in Cairns and loves living in the tropics. Dentistry is her passion as it fulfils her dream to care for patients in a hands-on, creative and challenging environment. Sophie was inspired to follow a career in health by her parents who are both healthcare professionals. The desire to pursue dentistry came from the positive influence of Trish and Lea, as her family have been part of Smithfield Dental for over 15 years. She hopes that she can one day inspire women in health care the same way Trish and Lea have inspired her career. Sophie enjoys treating children and meeting new patients. Working with her patients to help them understand the relationships between their oral health and their overall well-being, is Sophie’s main goal. Sophie thrives on providing a wide range of dental treatments but has a special interest in preventative management and oral health education. Dr Trish Rimmer moved to Cairns in 1986 immediately after graduating with a Bachelor of Dental Science from the University of Queensland. At this time Trish was one of the only young female Dentists to practice in this region and her passion for dental education has seen her instrumental in setting up the JCU dental degree. Trish has a commitment to Dentistry which has seen her continually update her skills in Endodontics, CEREC, Crown and Bridge and the restoring of Implants. The early implementation of these new techniques by local professionals made Cairns one of the pioneer centres in dental restoration. Dr Rimmer is a member of the Australian Endodontic Society, The Australian Society of Computerized dentistry and The Australian Dental Association and has completed a residency in Prothodontics and a graduating certificate of Nutrition. She takes great pride and joy in supporting the health of her community. Dr Olivia Evans graduated from James Cook University with a Bachelor of Dental Surgery in 2014. Born in Cairns, she is proud to call herself a local. Throughout her studies Olivia was admitted to the International Golden Key Society for Academic Achievement and awarded a number of scholarships, including one from the Australian Dental Association, the National Rural Health Students Network, and from the Services for Allied Rural and Remote Allied Health. She has a passion for health and wellbeing, a love of art and an interest in developing technologies. Olivia enjoys crown, bridge and endodontic treatment and takes pride in her aesthetic work. She also enjoys giving people tailored advice suited to their individual needs, and taking the time with patients to build trusting professional relationships.